Can Chelsea defeat the resurgent Manchester United? Chelsea will host Manchester United in the 5th round of the FA Cup on 19th February in what will be an interesting match. Both teams met in the final of the FA Cup last year in which Chelsea came out on top. With the Blues struggling for form this time around though, the Red Devils will look to gain a measure of revenge. Both teams are coming off demoralizing losses and the game on Tuesday will have a definite say in shaping their campaign from this point in. Although Manchester United look stronger on paper, the absence of Jesse Lingard and Anthony Martial will have an effect on their attacking output. Alexis Sanchez is yet to find his groove and he could yet again be a liability for the Red Devils. Lukaku has been inconsistent and hence, Ole Gunnar Solskjaer will have a few things to ponder about before the game. Chelsea might find it difficult to digest their heavy loss to Manchester City last weekend, but facing another big team so soon could actually work in their favour. Chelsea are still a good team and they could have not asked for a better opportunity to make a statement. Their attack in the form of Hazard, Higuain, and Willian is still one of the best in England and they would be well complemented by the midfield trio of Kante, Kovacic, and Jorginho. Although the defense has had a few problems, pace is something they will not have to worry about due to the absentees in the opposition. 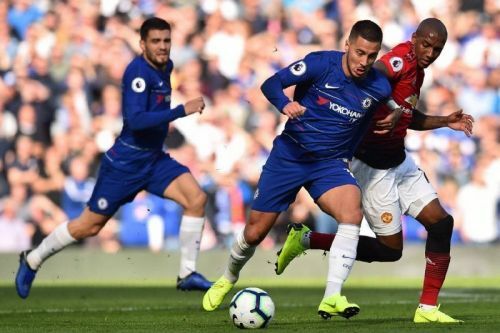 With Manchester United still vulnerable in a few areas, Chelsea have a good opportunity of progressing to the next round and silencing the doubters. That being said, United remain the favourites going into the clash and will look to put on a show and qualify for the next round.